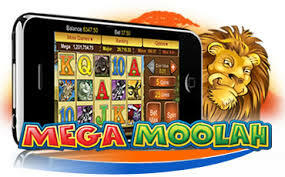 Mobile Bingo Bonuses bring you to a wild and adventurous slot game, created by the amazing Microgaming called Mega Moolah Slots. This impressive 5 reel, 25 pay line and 4 tier progressive slot is one of the most popular feature games with an RTP (return to player) of 88.12%. 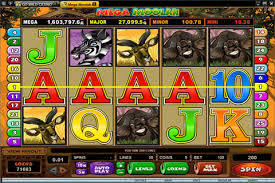 Mega Moolah Slots is a multi-stake slot accepting three different coin settings, which are 0.01, 0.02 and 0.05. The jungle theme boasts various wild animal symbols such as the lion, elephant, buffalo, giraffe, zebra and gazelle. The lion wild, which substitutes any other symbol with the exception of the scatter. This means that the lion wild symbol will help you complete winning combinations, acting as a multiplier and paying out twice the winning. The monkey wild, is a scatter symbol which pays out regardless of its position, even if it is not placed on an activated pay line. Mega Moolah Slots also offers a random bonus game which can go at any point, and will increase your chances of winning one of the four progressive jackpots available. This bonus game takes the format of a spinning wheel with 20 coloured sections, each with their own value bonus and jackpot. The Mini Progressive Jackpot is represented by 10 red segments, the Minor Progressive Jackpot by 6 orange segments, the Major Progressive Jackpot by 3 yellow segments and the Mega Progressive Jackpot is represented by a single white segment. So where can you find this slot game? That’s easy on a great casino site called 32 Red. If you’re new to 32 Red then you’ll be pleased to discover that they offer £10 bonus credit upon registration, with no deposit required. 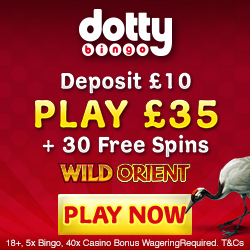 Then even when you’re ready to make your 1st deposit you’ll receive £32 bonus on every £10 deposited up to £160. 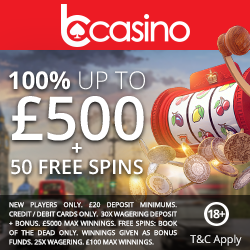 There’s even a 1st deposit bonus on slot games with a 150% cash match bonus up to £50, and a 100% cash match up to £250 for table games. So if you’re ready to claim your £10 bonus credit and start playing Mega Moolah Sots, then simply head to 32Red and enjoy.